Thinking about closing all of your social media accounts? Go out with a bang and leave a legacy. Don’t limp out citing trolling or the fact social media doesn’t contribute to the business. That’s failure. True to their word, they proceeded to delete the social media accounts of all 900 of their pubs. There has been speculation about exactly why they took this decision but, overall, it was met with a negative response. Customers of Wetherspoons felt that the brand no longer cared about them – about their feedback and having a two-way conversation. However, in this pseudo-PR-stunt that ironically blew up over social media, the brand missed a huge opportunity to make a real statement to society about socialising and social media. Pubs are for socialising. Pubs are for relationships, friendships – eating and drinking with people you know well and are yet to know well. That is what the brand represents. …they failed to spread this ethos and make the connection in their statement. The company could have sent a powerful message about social media and the fact that it should support and enhance social relationships; not replace them. Their message sounded defeatist. At JD Wetherspoon we prize, above all else, your company in our venues. We are proud to celebrate your birthdays, host your catch ups and serve your family Sunday lunch. Our focus is on personal, face-to-face relationships. No matter how great social media is, it can never replace those priceless moments. As a company with 900 venues, the upkeep and management of our social social media accounts is complex and costly. We have taken the decision to close all of our social media accounts to focus on the things we’re really good at. 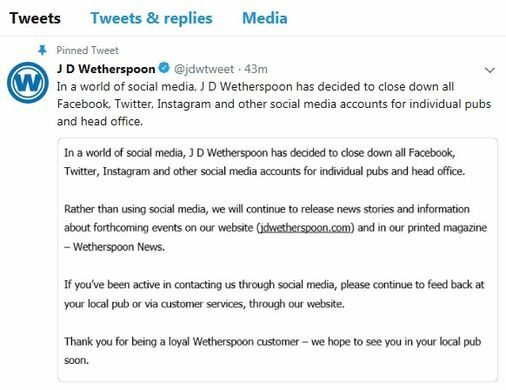 We’re working on passing the savings we’ll make onto customers and, as a start, if you come into any JD Wetherspoons in April, we’ll give you 10% off your bill if you quote “social; not social media”. Improved customer relations. Customers would have appreciated and understood what they were doing. Bolstered their reputation. This statement would have demonstrated they were being proactive, making a positive step, not being defensive. Contributed to growing their brand. This statement would have made people guess what their next move could be. It would have been a far stronger PR stunt that led to greater things, evolving their marketing beyond social media and maybe even starting a movement. Perhaps they did need a social media agency, after all. Check out KFC doing a better job of brand management using social media. 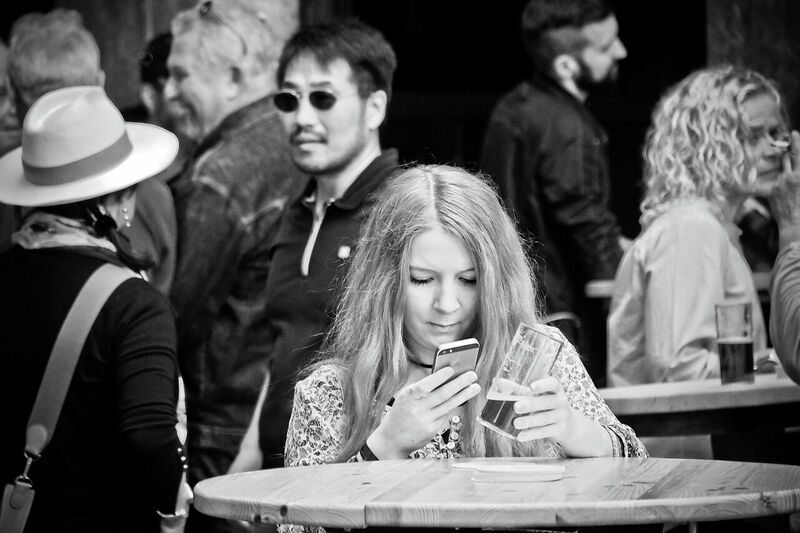 And here’s how social media can actually be used for pubs and bars.